← New Baby..visitors? guests? proper etiquette? I love this time of year…the music, the decorations, people actually willing to look you in the eye and wish you a good day. I think it’s a great season of remembrance that we are all the same and all have many needs. I love that people are getting out and giving of themselves, their resources and their time to help out others in need. Our God asks that of us all the time, but it seems to really sink in around Christmas. That being said, one of my love languages for sure is gifts. I love to get them, to give them and be generous when our budget allows. Well this year is a little different since we are on one income and have a little one on the way. (Only 5 more weeks to go!) I started brainstorming how I might be able to give some gifts without breaking the bank. I happen to love homemade gifts, and I thought how perfect it would be to spend the days counting down Christmas listening to some Christmas music and preparing gifts for those I love. My brain went to work thinking how I could blog about this time and decided to do a 3 part series on the homemade gifts I’m making. I realize this will be a spoiler alert for some dear friends and family, but know that it’s all in the thought and time spent making the gifts that counts. For Christmas every year I give my closest girlfriends a tube of Burt’s Bees. Well when you are buying 10 of them- it gets to be kind of pricey. 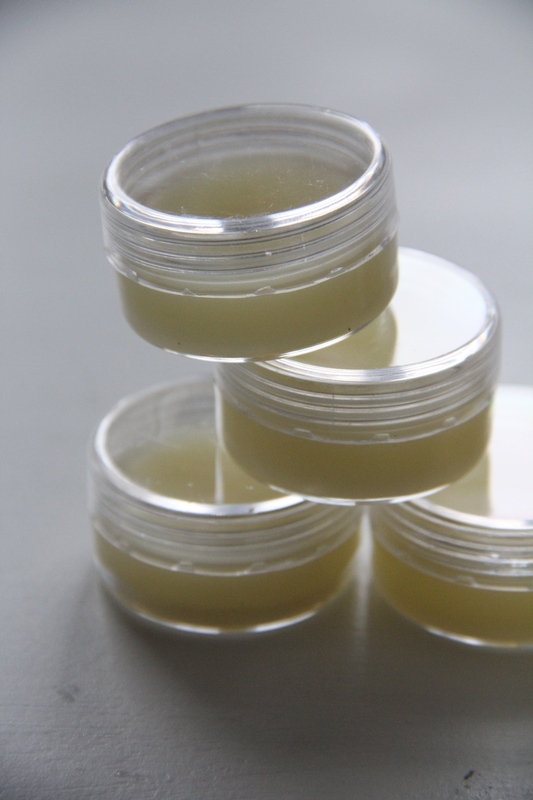 I made lip balm a few years ago for my sister-in-laws all natural baby shower and decided I’d make some and give them each a homemade lip balm instead of Burt’s Bees this year. I happen to still have all the supplies I needed so this didn’t cost me any extra to make. The initial cost for supplies though if I remember right can be pricey, but it goes a long way, keeps forever and is even something that could be made with a girlfriend so you could split the cost. Many of the items needed I found at our local Co-Op store and at craft stores like Michael’s and Joannes. 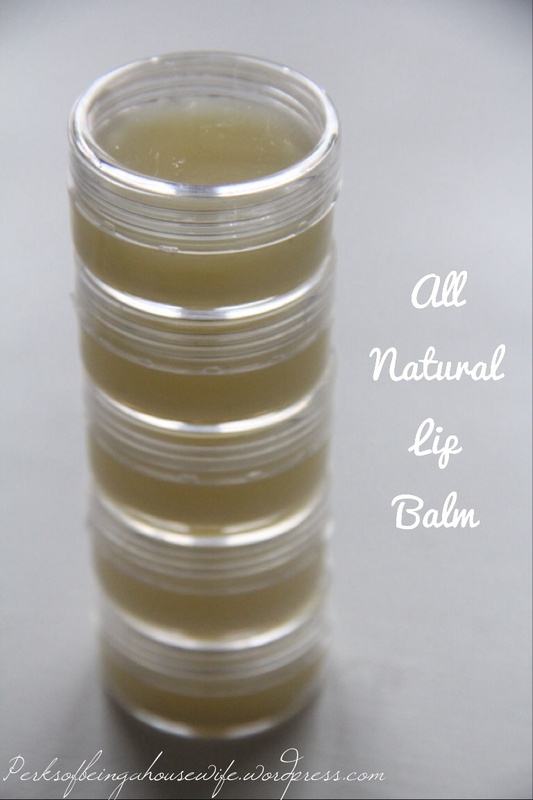 Here’s a list of supplies and how to make your very own all natural lip balm. This recipe is for a small batch (2 or 3 depending on your container size) I recommend making one batch first so you can gauge how much you’ll need to make. Then you can double/triple the batches at one time after that. 1. 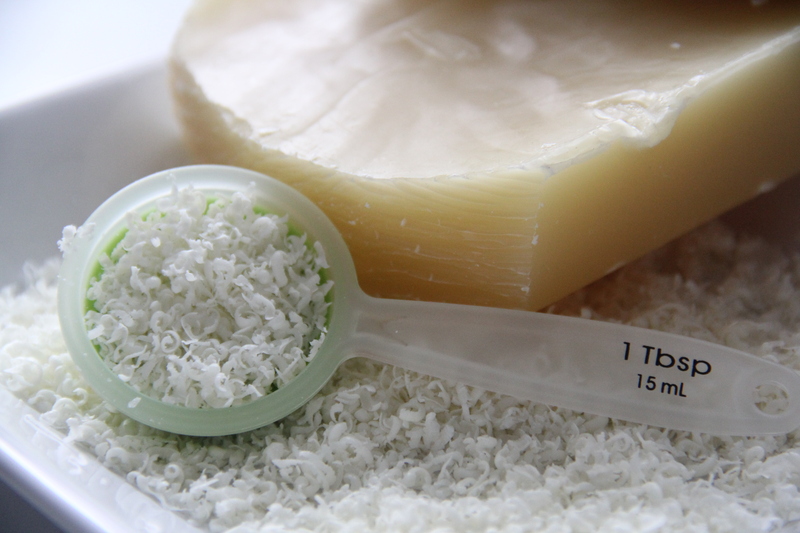 Finely grate the beeswax (unless using pellets) and pack them into a Tablespoon until it’s level. 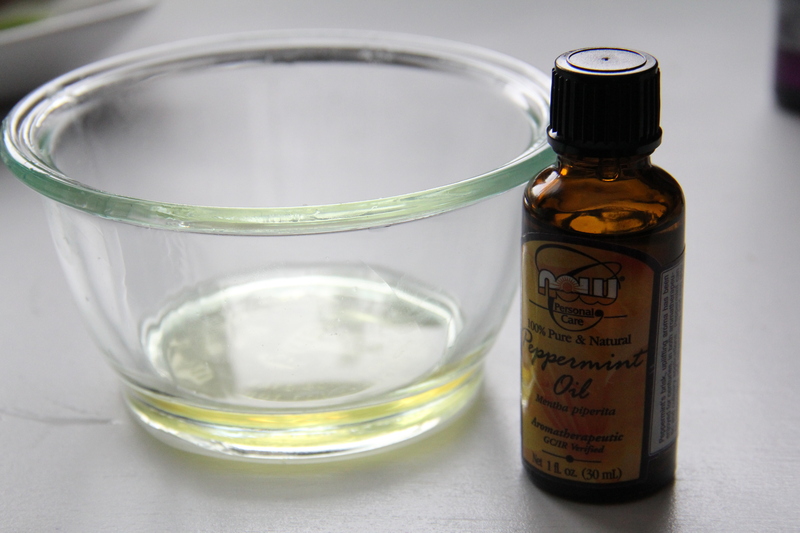 Dump in a glass measuring cup or a small microwave safe glass container. Again, this is simply for one small batch. You may double or triple this as well. 2. 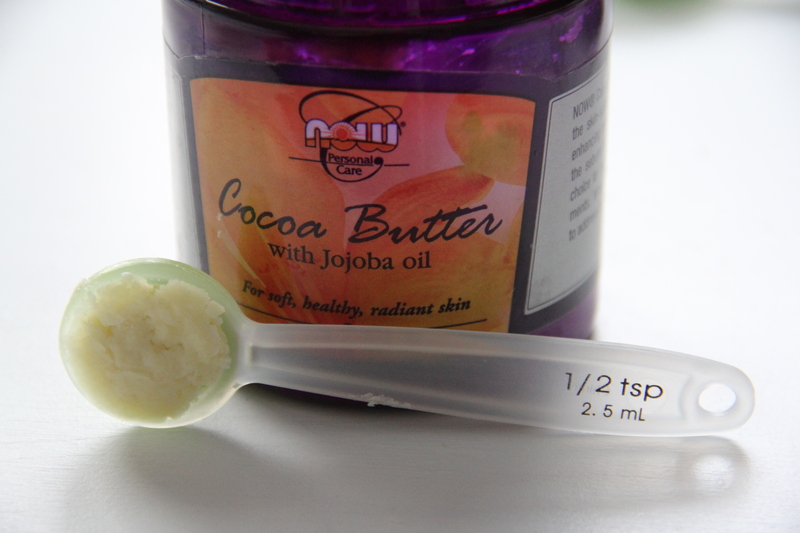 Pack the cocoa butter into a 1/2 Tablespoon measuring spoon and add to the container with the beeswax. 3. 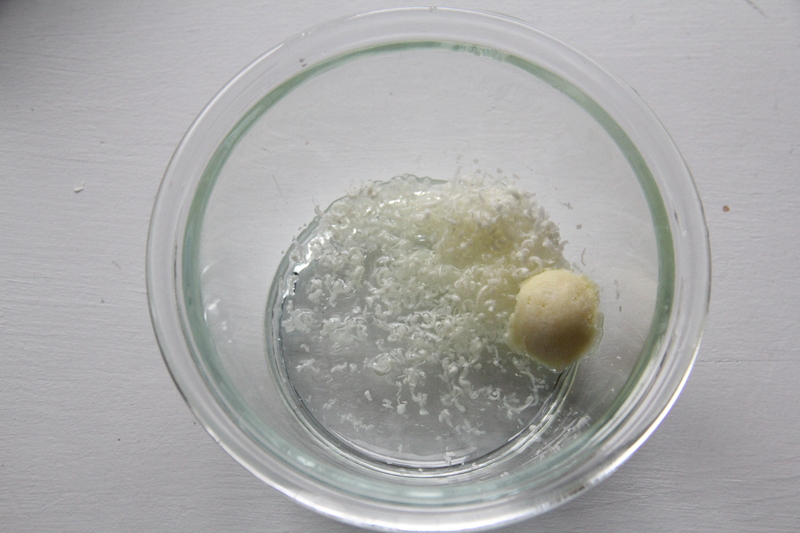 Add 4 Teaspoons of sweet almond oil to the container with the beeswax and cocoa butter. 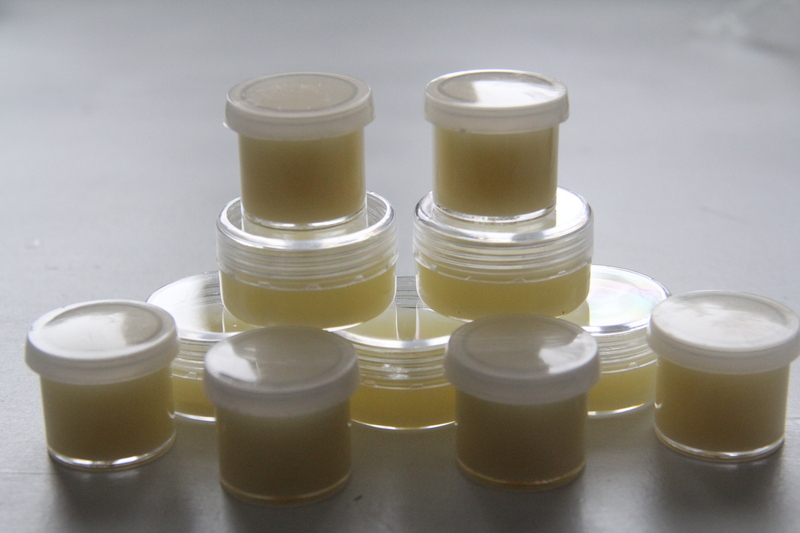 Also, if you would like a sweeter lip balm this is the time to add up to 1 Teaspoon of honey. I’ve made it both ways, but prefer it without the honey. Here’s what it will look like before heating it up. 4. Microwave on 50% power for 1 minute at a time until all the wax and cocoa butter are melted. This part reminds of how to melt chocolate chips. You have to remember that I’m preggo and my mind wanders to chocolate often-can ya blame me? 5. 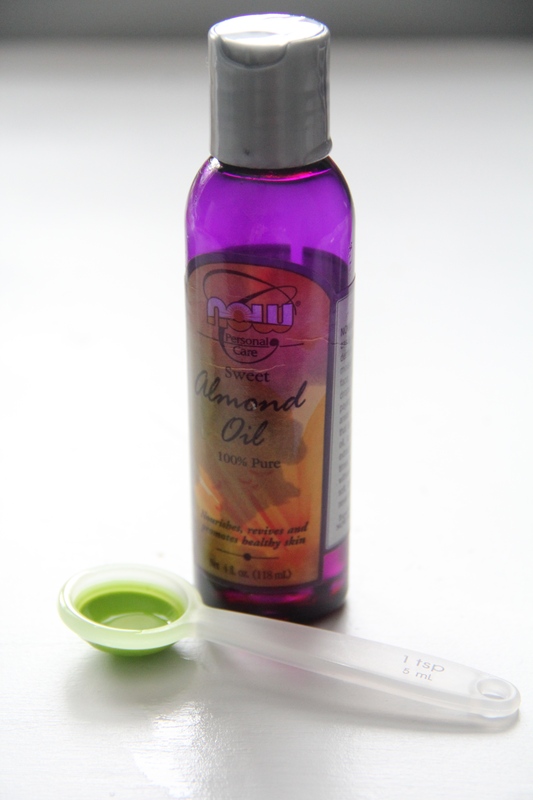 Add 5-10 drops of essential oil to the melted lip balm. 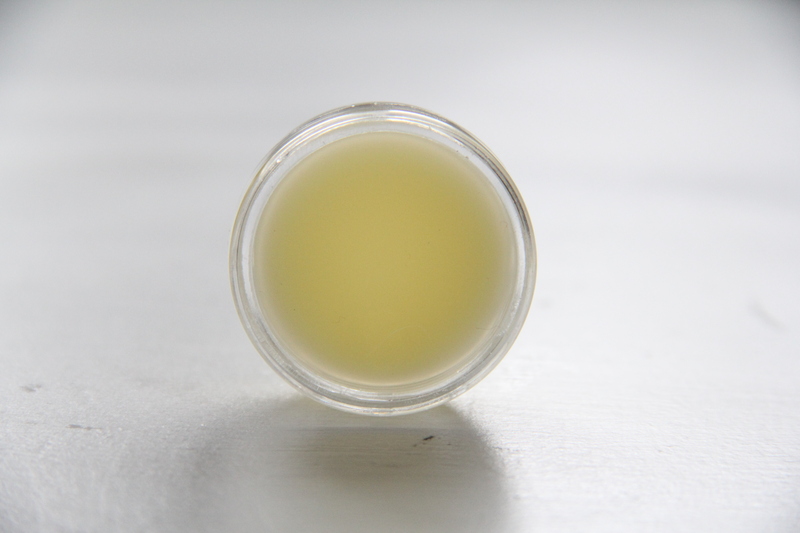 I used peppermint oil to try and replicate the Burt’s Bees tingly wonderful feeling. I’ve also used Orange and other kinds too. Be creative! 6. Pour into your containers and allow to harden. 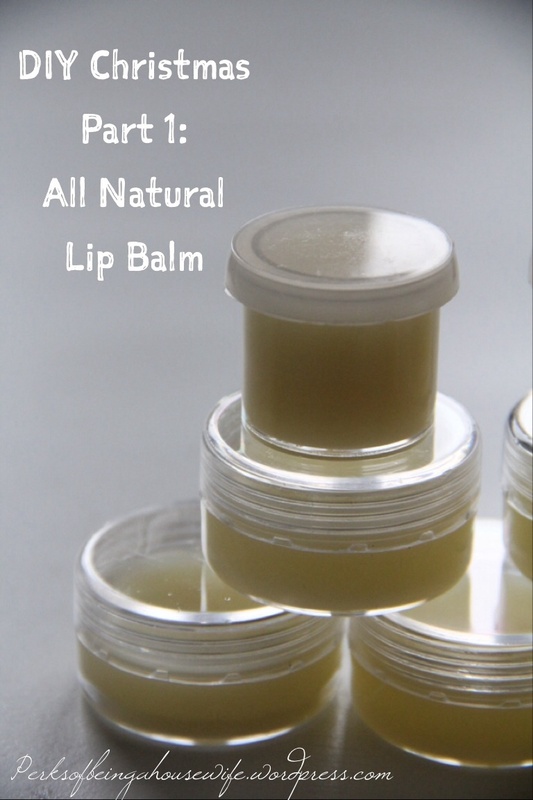 It’s that simple to create your very own all natural lip balm. Share your love and time this Christmas by making some DIY gifts. I’ll post my other projects in the next week. Stay tuned! In the meantime, if you make some let us know in the comments! 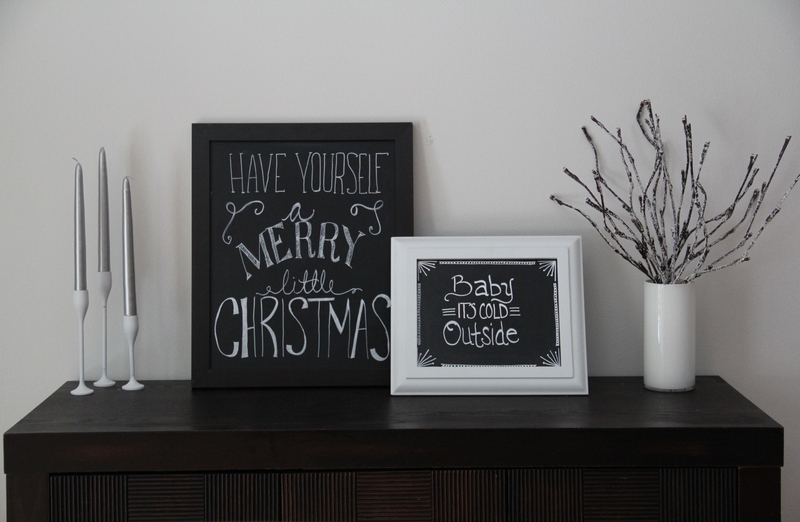 Here’s a peek at some of my Christmas DIY decor as well- thought it’d be fun to share! This is a great idea. Thanks Emma Lou!